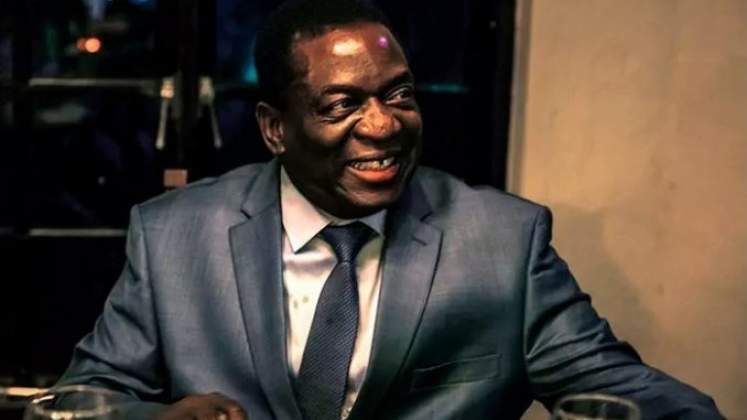 The International Monetary Fund (IMF) has been bowled over by President Emmerson Mnangagwa's current economic plan, which has already seen Treasury recording a budget surplus of over $29 million during the first two months of its subsistence. The Transitional Stabilisation Programme (TSP) - the policy blueprint expected to guide the country through December 2020 - was announced by Finance and Economic Development Minister Professor Mthuli Ncube on October 5 this year. Responding to an online question during Friday's edition of IMF's weekly question-and-answer session, the Fund's director of communications, Mr Gerry Rice, said "the policies of the new administration under the Zimbabwe transition . . . do constitute a comprehensive stabilisation and reform effort". IMF and Zimbabwe, he said, are presently working on modalities of a new staff monitored programme meant to ensure that the country meets the fiscal targets it has set for itself under the TSP. "We think the policies, to answer the question, the policies of the new administration under the Zimbabwe transition and stabilisation programme, do constitute a comprehensive stabilisation and reform effort in order to address Zimbabwe's macroeconomic situation. "And, you know, we see it as a fairly ambitious programme that the authorities have requested the staff monitored programme," said Mr Rice. He, however, noted that the IMF can only work on a financial programme with Zimbabwe once the country strikes a deal with bilateral creditors and clears its arrears with other international financial institutions. "I am differentiating that (staff monitored programme) from an IMF financial programme which, of course, discussion of that, as we have said here before, would require the clearance of arrears by Zimbabwe to the other international financial institutions as well as an agreement with official bilateral creditors. So we are looking at a staff monitored programme, but not at this point, the full financial program for the reasons I just mentioned." The country has made remarkable progress in entrenching disciplined economic management by matching its expenditures to its revenues, culminating in the $29 million budget surplus for October. In September, Treasury managed to balance the budget. In essence, the TSP is premised on cutting recurrent expenditure, growing revenues and funnelling more resources to capital projects that are meant to add fillip to local economic growth. However, an unsustainable domestic and external debt — estimated at over $18 billion, of which $11 is external debt — is presenting significant headwinds to the country's economic growth effort. Zimbabwe, which cleared its arrears to the IMF, owes the World Bank and the African Development Bank $1,2 billion and $601 million in that order. Discussions with creditors to consummate an arrears clearance plan agreed at in Lima, Peru, in 2015 are expected to be wrapped up within the next 12 months. It is believed that the successful conclusion of a deal will naturally increase the country's creditworthiness and help integrate the country's private and public sector into the global financial system. Previously, both the public sector and private sector used to get financial support through the International Development Association (IDA) and International Finance Corporation (IFC) respectively — two affiliates of the World Bank Group — which helped ease pressure on the fiscus. Deprived of capital from local financial markets, as banks have been struggling to raise international lines of credit from global markets, companies have been queuing to get foreign currency from the Reserve Bank of Zimbabwe, putting additional strain on scarce resources.